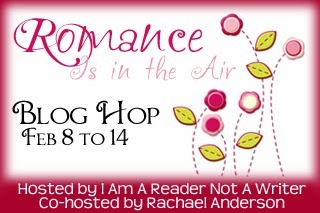 Romance is in the Air Giveaway Hop has begun! This hop features Young Adult and clean Adult Romance and runs from February 8th to 14th. Hosted by I Am A Reader and co-hosted by Rachael Anderson, there are over 150 blogs participating. Find the complete listing here. 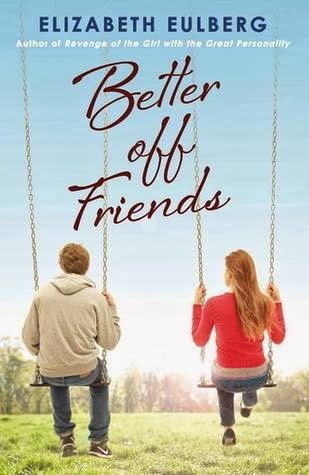 Reader Girls is offering one new ARC copy of Better Off Friends by Elizabeth Eulberg. Our giveaway is open internationally. I honestly don't know if I have a favorite romance, in or out of books. But there are a lot of stories that I like. I love Eleanor & Park because it's so sweet and cute!! One of my favorites is Walking Disaster! I love Fangirl it's so sweet! I really like A Distance Between Us by Kasie West. I just enjoy everything she writes. It always captures my heart. Thank you. Jane Eyre, but I'm always looking for my next favorite romance! I love Stephanie Perkins' romances. I've heard Rainbow Rowell is a great romance author too, so need to read some of her books right away! One of my favorites is one I read recently which is Officer Off Limits by Tessa Bailey. I just love books about police officers. anna and the french kiss was adorable,the romance was so sweet! My favourite romance would have to be either a classic like Jane Eyre or a supernatural one like Succubus by Richelle Mead. If it's romance as an individual genre, then I don't think I have one, unless you count The Catastrophic History of Love at First Sight. Right now it's SENSE AND SENSIBILITY. You didn't specify that it had to be a book relationship, so I am going to be cheesy! My favorite romance is my romance with my amazing husband. He blows me away each and every day. I love him so much, and I can't imagine a life without him anymore! LOVE Nalini Singh's psy-changeling series because the books are amazing! I'll go for The Fault in our Stars, because their love is so strong and beautiful! Pride & Prejudice is my favorite. I love the way Mr. Darcy falls in love with Elizabeth's mind and wit. Anna and The French Kiss because St. Clair is sooooo swoony! Thanks for the giveaway! I just read A Distance Between Us & enjoyed it very much. It was well written & sweet! Anything by Nicholas Sparks! I just love his writing! My favorite is Pride and Prejudice because I enjoy historical romance. Thanks for the great giveaway. Happy Valentine's Day! Mine's a classic, Persuasion by Jane Austen. Their second chance at love... and his letter? Swoon. Thanks for the giveaway! A Walk to Remember.Thanks for the giveaway! I have so many! Love On the Island! thanks!